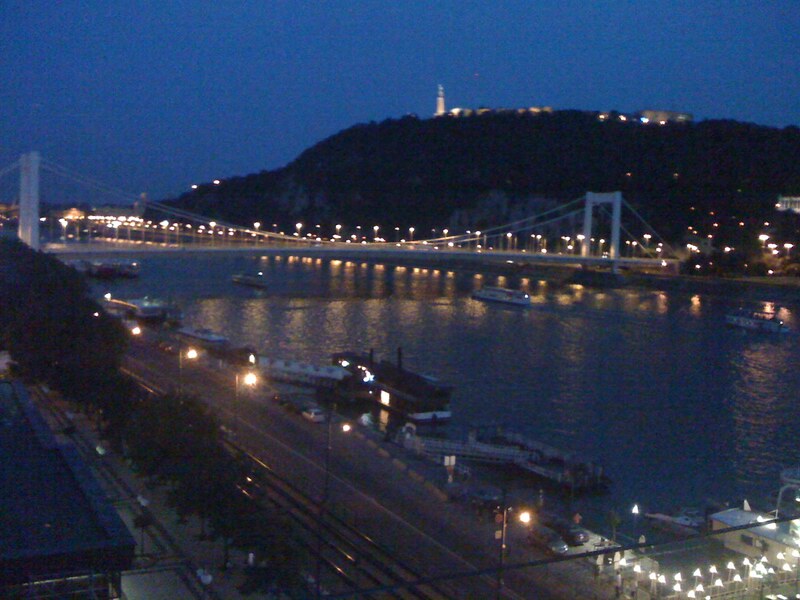 What a treat, I’ve been in the beautiful city of Budapest for a week to participate in both the 2-day Berkman Center conference on Internet and Democracy as well the 3-day Global Voices 2008 Summit. Out of some 200+ participants I was one of three with active links to the humanitarian community. My other two colleagues were Sameer Padania of The Hub at Witness and Ivan Sigal from USIP. There should have been more but three is a start. It is becoming increasingly clear to me that there really is something to the hunch I’ve had over the past year. Namely that the various “fields” of activist blogging a la Global Voices, nonviolent action, humanitarian technology, conflict prevention and crisis response are not as distinct as one might think. Take Ushahidi, for example, which was developed by several bloggers following Kenya’s elections in December 2007. The field of conflict early warning/response is increasingly shifting towards crisis mapping, which is in effect what Ushahidi is. I find this convergence of interests from different areas of expertise particularly exciting. Indeed, I’ve been working since June 2007 (one year now) on a crisis mapping tool called the “Humanitarian Sensor Web” (or HSW) to facilitate dynamic, real-time mapping of humanitarian infrastructure and crisis-related events. The Sensor Web includes SMS and we too are looking at using Jott to allow for voice-to-text data collection. Erik Hersman and I had a particularly fruitful day-long brainstorming session in April 2008. He was interested in the lessons learned and best practices from the humanitarian side while I wanted to learn more about the technical aspect of crisis mapping. The conflict early warning community has had to address the challenges of information collection, data validation (quality control), indicator development and frameworks, data analysis, field-based security of monitors, etc. I think we have a lot to offer and a lot to learn from the activist blogging community. They are often closer to the ground than some of us in the humanitarian community are. They have their ears to the ground, are part of a local social and information network, provide critical information when the mainstream media becomes unreliable or inaccessible in times of conflict, and have shown time and time again that they can mobilize a movement for action. Isn’t that what conflict prevention is about? This is part of a broader conversation that we will be having with other colleagues at an upcoming workshop in Boston hosted by the Harvard Humanitarian Initiative (HHI), where I am a doctoral research fellow. The workshop will explore, amongst other issues, the application of information communication technology for conflict early warning, crisis mapping and humanitarian response. Sameer from Witness will be joining us, as well colleagues from Microsoft‘s Humanitarian Information Systems Group, the Geotechnology and Human Rights project at AAAS, the Eyes on Darfur project at Amnesty International (AI), the US Holocaust Memorial Museum (USHMM), and many more (we’ll be about 20 in all). I’ll be sure to share all that I have learned from participating in the Global Voices summit during the HHI workshop. It is time we bridge our respective fields of practice and exchange best practices. This entry was posted in Humanitarian Technologies, Social Media and tagged Crisis Mapping. Bookmark the permalink.